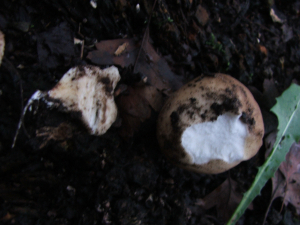 Observation - Stump Puffball (Lycoperdon pyriforme) - UK and Ireland. Description: many covering the surface of a well rotten stump. many covering the surface of a well rotten stump.